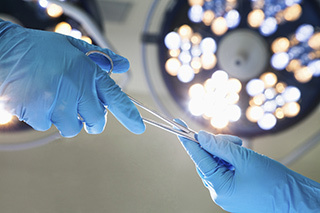 Researchers examined whether complete surgical metastasectomy correlated with improved survival in patients with mRCC. Complete surgical metastasectomy correlated with increased survival in patients with metastatic renal cell carcinoma (mRCC) compared with incomplete surgical metastasectomy, encouraging use of the former procedure in patients who are candidates for surgical management. A meta-analysis and systematic review of Ovid Embase®, MEDLINE®, Cochrane, and Scopus® databases examined whether complete surgical metastasectomy correlated with improved survival compared with incomplete metastasectomy in patients with metastatic renal cell carcinoma through January 2016. Only studies that reported adjusted hazard ratios (aHR) for all-cause mortality of complete vs incomplete surgical metastasectomy were included, and studies with too great a risk of bias according to the Newcastle-Ottawa Scale were eliminated from the study. The 8 studies that met the criteria reported on 2267 patients, 958 who underwent complete surgical metastasectomy and 1309 who underwent incomplete surgical metastasectomy. Median overall survival was 36.5 to 142 months for complete surgical metastasectomy and 8.5 to 27 months for incomplete surgical metastasectomy. Complete surgical metastasectomy also correlated with decreased risk of all-cause mortality compared with incomplete surgical metastasectomy (pooled aHR 2.37; 95% CI, 2.03-2.87; P <.001). Complete surgical metastasectomy continued to be independently correlated with decreased mortality across sensitivity and a priori subgroup analyses and regardless of adjustments for performance status.